How can you use tried and true marketing in fresh ways to create powerful relationships? You’re about to learn about Bacon Relationship Marketing. Brian Basilico is an expert in Marketing, Branding, Web Development, Search Engine Optimization, Multimedia, Audio, Video, PowerPoint, CD-Rom, DVD, Internet Marketing, and Social Networking. He uses relationship marketing, changing the game using old techniques in a fresh and new way. He also shares his knowledge and experience as an adjunct professor teaching Social Networking, Google and Internet Marketing tools and techniques at College of DuPage, Waubonsee Community College, Elgin Community College, Aurora University, along with multiple groups and conferences across the country. Check out the additional Bacon Podcast episodes discussed in this show. Mark S A Smith: Brian Basilico is amazing. I met him when he invited me to be on his Bacon podcast. We had so much fun. I learned a lot from the interview. He says he learned a lot from mine as well. In fact, I have to tell you, you are the inspiration for me doing this podcast. Thank you very much, Brian. He is all about bacon relationship marketing, and who doesn’t love bacon? 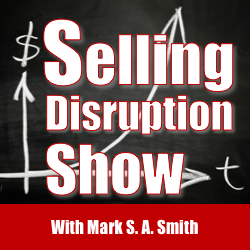 Welcome, Brian, to the Selling Disruption show. Brian Basilico: Thanks, Mark, man. There are a few people that don’t like bacon. I’ve got to tell you a quick story. I was giving this speech and this one lady walked up to me, you know, everybody loved the speech and it was all about the book and relationship marketing and she walks up to me and she goes, “I am totally offended by the title of your book.” I looked at her and I said, “Ma’am, every single day millions of vegetables are murdered for salad. Can we please stop the madness?” She just went, “Huh!” and walked away. Mark S A Smith: Perfect, absolutely perfect. I love it, I love it, I love it. You’re a funny man, you’re a bright man, and you talk to a lot of really cool people as you assemble your podcast and you put together bacon relationship marketing. What is the concept that you are using behind this to disrupt the market? Brian Basilico: Well, I think the biggest thing in trying to disrupt the market is using principles that are time tested and true, but teaching people how to use them in this new world of online marketing, online media. I think every business starts with a smile and a handshake, and unfortunately you’re in Vegas, I’m in Chicago, you know, we haven’t had that handshake, but we had a verbal handshake. That’s what it did, is we got together, we talked, we did a pre-call for the podcast, we got to know each other, and that was our handshake. Brian Basilico: The thing about relationship marketing, everybody in this world wants to make a million dollars today. They have no patience, they have no understanding of how to build and grow relationships, and I’m not trying to pick on kids because they got … millennials, I mean, they were over for Christmas, I got a 31-year-old and a 33-year-old, and they don’t do relationships like we do. You have to learn to adapt to all of the different people out there. Mark S A Smith: Just a little too soon. Brian Basilico: Yeah, not only too soon but way too tacky. That’s not building relationships, that’s just blatant self-promotion. This why you got to put adults in charge of social media, because you can be creative but you don’t necessarily have couth. That word I don’t use very often, but … tact, you know, those kind of things. It’s really super, super important to understand that all business is built on relationships. Mark S A Smith: That’s right, and I think what you’re pointing out here is really critical, Brian. A fundamental principle, selling disruptive when it comes to a career, is that an executive will never hire somebody or promote somebody that they think is dangerous. Couth, tact, is one of those elements that creates safety. Mark S A Smith: I think it’s really important to nail that part down, and today, being polite is disruptive. Brian Basilico: It is being disruptive. That’s part of the deal. Let’s take what you just said and take it a step further. Who is the most famous person to be fired because they didn’t have tact? Mark S A Smith: Oh my goodness, that’s a great person. Most famous person to be fired because they didn’t have tact. All right, listener, do you know? Yeah, I don’t either. Go for it, Brian. Mark S A Smith: Oh yeah! Brian Basilico: He just did not fit the corporate culture. I’ve heard this so many times. The corporate culture is really about having that barrier in your mouth to brain that is going to stop saying exactly what you want to say but say it in a way that is PC. Unfortunately, you have to do that. He got fired by Sculley because he just did not fit the corporate mentality. Sculley came over from Pepsi, and of course tanked the entire company because they took it off in 40,000 directions and then he comes back and creates the iPhone and the i industry and iTunes and basically revolutionized and … you talk about disruption because we talked about that … who would have ever thought … and this is your thought, I’m echoing Mark. Who would have ever thought that you’re going to take a cellphone and not have a dial pad on it, that’s going to be a screen, that it’s going to have a computer in it, that it’s going to do all of these different things. I was at church, I play guitars, it’s the only place I play anymore because I can’t stay out past 10 o’clock, which is the most times when bands start. I was standing there one day and just looking at the cellphone, I’m going, you know what, this thing has an incredible amount of things that we used to carry around, and we started making the list. It is not only a phone, but it’s a voice recorder, it’s a camera, it’s your photo library, it’s a MP3 player or your cassette player or whatever … I mean, we had 75 things in like five minutes. Mark S A Smith: For us as musicians, you and I are both guitarists, it’s our guitar tuner, it’s our metronome, it’s our setlist. Brian Basilico: Yes, all of the above. Even the lyrics if you can read it. Mark S A Smith: Absolutely true. The phone happens to be an ancillary function. In fact, if I take a look at my AT&T bill at the end of the month, there is not a lot of minutes used on that phone. Mark S A Smith: But there’s a hell of a lot of data consumed by that phone. Brian Basilico: Exactly. Yeah, because it’s such an integral part of our lives. Here’s another story of disruption is my wife. If you want to reach her, you sent her a paper newsletter. That’s what she wants. She wants to get something in the mail. Me, send me a PDF. Paper goes in the recycle bin. She’s very old school. When I got my iPhone 6, I gave her my iPhone 5. She had a rotary dial phone before that, and so I gave her the iPhone 5, and I showed her, okay now you’ve got something called Siri, and here’s what you do. You press the button and you say, “Text Timmy,” which is one of our kids. She goes, “Text Timmy.” “What do you want to say?” “Hi Timmy, how you doing?” “Are you ready to send?” “Send.” She sent it, and within 10 seconds, he replied back. She went, “Holy crap. I could call and leave a message, I wouldn’t hear from him for three weeks. I text him, he responds in 10 minutes.” That, my friend, is part of what we were talking about before we got on, is meeting people where they’re at. That’s part of the disruption. It’s our job to get in front of people where they want to be communicated to. It’s much, much more about that rather than trying to use the tools at our fingertips to try to broadcaster, as I say, shotgun our messages in 360 degrees. Mark S A Smith: That’s right, we get to be rifle specific and … You’re absolutely right, there are people that I have that are clients of billion-dollar businesses and we do most of our business through text transaction. If I had to insist on some other way, we wouldn’t work. I think you’re right on … to be disruptive, we have to meet people where they are, communicate with people where they are, and more importantly, go hang out where they are. During our pre-show, you were telling me a story I’d love for you to tell now in that regard. Mark S A Smith: You and I resemble that remark. Brian Basilico: Exactly, that’s one of the reasons why I want to interview him because I thought he had such great insight. During the interview, I wish I could remember the specific term he used. Here’s the deal. Go to the Bacon podcast, look up episode 221, Michael O’Neal. 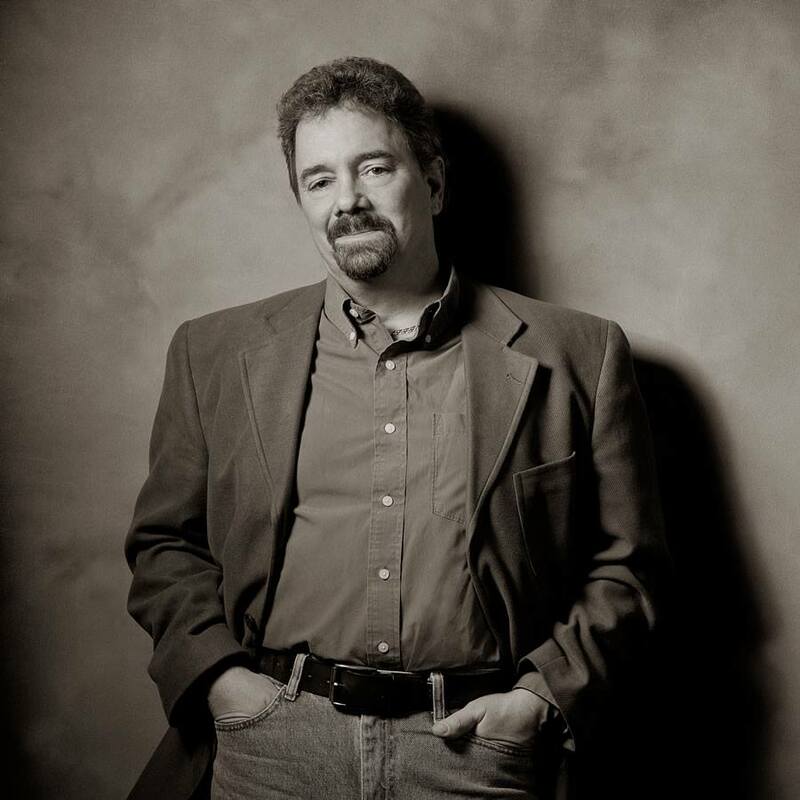 Mark S A Smith: [crosstalk 00:08:23] It will be on the show page here too. Mark S A Smith: They have a much cleaner bathroom there. Brian Basilico: Yeah, probably, yes. All of a sudden, in walks in NFL stars from the Broncos and the Nuggets and the Colorado Avalanche, executives, and all these rich people who started interacting with him. He started meeting influencers, and the thing that he realized is these people, number one, they care, they have a mission, they have money, they have passion, they have a whole bunch of other things, and these are the people that he wanted to be associated with. Then he took it a step further, and then when he’s finished drinking his coffee, he went to separate clubs inside of the biggest hotels. He would go to these really posh restaurants, he’d go buy a glass of wine and stick his laptop up on the bar and sit there work, and people would strike up conversations when they’re buying a glass of whatever, and eventually started getting invited over to tables and they were paying for his meals. Then they started inviting him to events and to things like golf outings and yachts, and he actually got jobs working for like Wells Fargo teaching people how to use social media and stuff like that. Mark S A Smith: Give a damn, can take action, and have money. Mark S A Smith: If you don’t have all three of those, you’re wasting your time. Brian Basilico: Right, and unfortunately a lot of us spend too much time with people with maybe two or one of those things. Where they give a damn and they take action but they don’t have any money. Or they have money but they give a damn and they won’t take action. Got to have all three of those in order for people to be successful with you. Mark S A Smith: That’s a fundamental selling disruption. 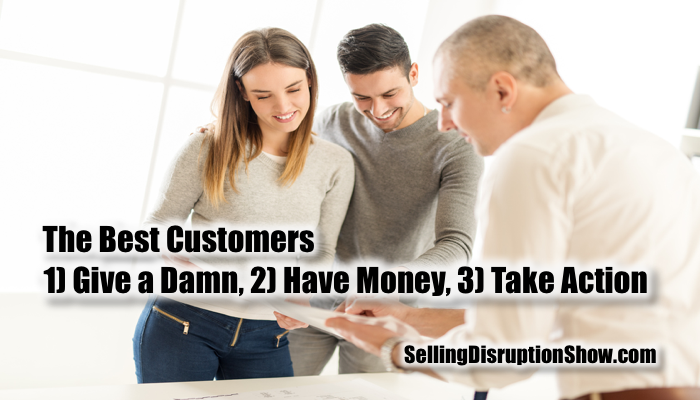 Sell the people with money who give a damn about the outcome that you’re selling who are able to take action, and with that, you can disrupt the marketplace. Mark S A Smith: Tell me more about your view of relationship marketing, specifically taking some of the old concepts that are kind of tired but are really starting to work all over again. Brian Basilico: All right, so my first business, I built a recording studio in my basement. My dad actually helped me put up the walls, soundproof it, bought all this gear. I have an 8-track, I’m not talking about the one you put in your car, but it actually was [inaudible 00:11:25] with half inch tape, 16-track mixer compressor, microphones, the whole nine yards. Now, that’s a big investment, especially for a kid 18 years old. I knew that I had to communicate with my customers, so here’s what I did. I started writing articles on how to do things. How to prepare for coming in to the studio, how to write a good script, whatever it was. Anything that would help my customers, whether they were musicians or whether they were people doing commercials or what have you, or voiceovers or anything like that. What I did is I broke up my Atari 400 computer, then I typed them up, and I printed it out on a dot matrix printer, and then I had some graphics that I had printed as well, and then I literally took out a scissors and cut and paste this and laid it out on an 11 x 17 sheet of paper so it was folded over, it would look like a little book. Mark S A Smith: That’s awesome. Brian Basilico: Then I took it to a printer, and I had them print it, and color, a different color every single month, and then we’d fold it, we’d mail. I’d mail out a hundred, a hundred and fifty of these things every single month, with labels and the whole nine yards. That, my friend, back in 1979, was content marketing. Mark S A Smith: Yeah, sure was. Brian Basilico: Okay, it’s no different today. It’s the same principles today, but content marketing has a lot more opportunities. One of the things that I tried to do every single day, and this is part of my strategy for my business to be disruptive. Most people you see on social media, they’re constantly talking about themselves, their business, all this other stuff. I do two things every single day and you see them all the time. Number one is Deep Bacon Thoughts, which is the quote of the day in the morning. The second thing is the caption contest at night. Mark S A Smith: Yeah, both so much fun. Brian Basilico: Thank you. But the thing about it is it engages people, it keeps them entertained, and more importantly, in the algorithms of Facebook, the more the people comment, like, and share those two pieces of information, when I actually do post the podcast interview with you or Michael O’Neal or anybody else, it shows up in their news feed better. Back the your thing. They had the inspiration, they had the desire to get things done, they had no money. I took that concept and what they were doing is putting inspirational quotes, I said, “Hey, I can do this. I’ll just do the same thing.” I put up inspirational quotes, and it has been a boom for my business. It helped me to get seen and noticed and everything else. Mark S A Smith: I love it. You and I are on the same track, as always, which is sort of interesting, freaky thing with you, my friend, and that is I write three memes a day. I write a general meme about … similar to your Deep Bacon Thoughts. I really love the fact that you have a theme, I don’t. The deep thought that challenges people to be a better person. Then I have one that’s targeted at salespeople, so it’s a sales inspirational meme. Then one targeted to executives, so executive insights. They go different places, all within social media, but that’s exactly it, but what I love about you is the caption contest. In fact, I’m going to steal that one. I’m not going to use your pictures, although the pictures you serve up are hilarious. Brian Basilico: Thank you. Well, and the cool thing about that is that’s friend-sourced. I have a friend, the mother of one of the girls I sing with at church, who just loved the caption contest so much she started feeding me all these pictures. She sends them to me and I just basically put them in a folder and just drop them in. Mark S A Smith: I love it. Mark S A Smith: Yeah, that’s right. We know how to do that, but I love that idea. I think that’s really a fantastic and disruptive concept about how to use social media to get the message that you’re looking to serve up, essentially wrapped in a tasty wrapper. Mark S A Smith: That people will say at least I always have something interesting to say, and then when you serve up the content then it is ready for them to consume. I love it. Brian, hanging out with you is always a real treat. Look forward to it every time we get the opportunity to do so. One of these days we will be playing guitar together. Brian Basilico: Yes, we will. We’re going to jam onstage in Vegas someday, man. I guarantee you that will happen. Mark S A Smith: That’s right. It could be on the stage out of town, but I think that’s going to be a great time. I love it. What do you have to offer to our listener today? Brian Basilico: Well, there’s a couple of things. I mean first and foremost, I’d love for you guys to listen to the Bacon Podcast because there are so many great nuggets. Let me talk about that just for one second. The Bacon Podcast, it has two components to it. There is what I call the monocast, and then the expert interview. The expert interview is really bringing some of the world’s brightest minds to your living room. I do it in a way that I’m interviewing them as if I want to get the information and you’re listening over our shoulder. Your podcast on disruption and working with C level executives, I mean were just incredible. It was mind blowing stuff, so I love serving that up to my audience. There’s tons of incredible guests on there, and that’s the free content that I got. If you want to check out more about what I do, go to baconcoach.com and that’s where I serve up all my things that I actually do for people, which is I have a weekly mastermind, I have classes, I’ve got a whole bunch of mini courses and things like that. Again, probably the best thing to do is friend me on Facebook. Just look for Brian Basilico, it’s B-R-I-A-N B-A-S-I-L-I-C-O and you can experience some of those inspirational quotes and funny caption contests. Mark S A Smith: I love it. Check out the Bacon podcast, and friend Brian on Facebook. We’ll have links from this show page to both of those locations. Brian, always a delight. Thank you my friend.